If you're not comfortable using the free practice game above, it'll pay to get some visual instruction first. This video from the Wizard Of Odds takes you through every aspect of the game. If you're read through the 3 card poker strategy page, you'll know that 3 card is a fast paced, simple to play casino card game which offers some good chances of hitting winning hands consistently enough to at least have a chance of winning overall. As with any casino game though, the odds are always in favour of the casino. Aside from fully understanding the correct strategic approach to any hands dealt, the other main consideration you'll need to make is in deciding where to play, and whether to practice for free or risk it with real money. 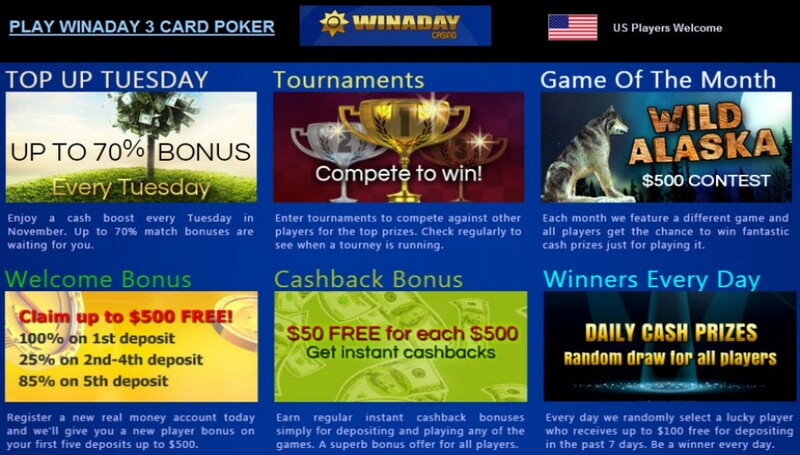 All online casinos listed here offer practice and real money gaming, and are well recognised as secure and trusted. Each one welcomes players from around the world (though of course you should check that gambling is legal where you live before playing). 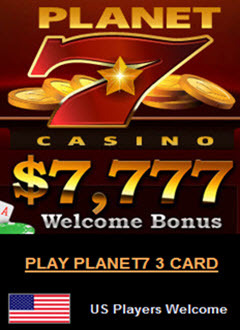 All offer good value bonuses which will help increase your starting bankroll and give the maximum playing time. 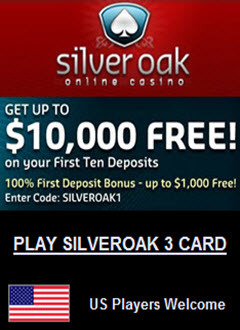 If you don't want to play at a real money casino, you may want to take a look at the options for playing 3 card in social casinos. Most online casinos offer 3 card poker games in their catalogue, and a fair few of them give you the chance to practice free. The practice game from Bovada above is simple to use, and offers a great way to practice without the risk of losing any cash. 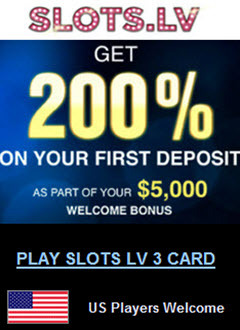 When you're ready to play for real cash, take advantage of either Bovada's welcome bonus or see any of the other sites listed. 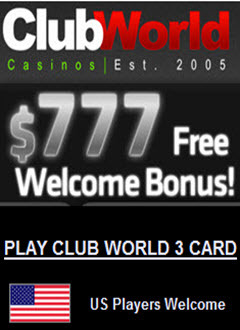 Alternatively you can find other options on the ''play casino games'' page. Be cautious though, winning in a practice game does not necessarily mean you'll win when the chips are really down.